Media coverage can translate into new business, new customers and an enhanced reputation. But as Tesla founder Elon Musk learned in 2016, poorly planned off-the-cuff remarks, transmitted far and wide by the media, can anger even your biggest supporters. They may even impact your stock price or cost you you job. Musk’s seemingly insensitive comments about the death of a Tesla owner—due, apparently, to a failure of the high-tech vehicle’s autopilot system—earned him the #1 spot on Inc Magazine’s Top 10 PR Failures list for the year. To make sure your public relations efforts pay off in the form of appropriate and relevant media coverage—and not the kind of news stories that Musk’s comments generated—you must know exactly what message you want to convey to the media outlet’s readers, listeners or viewers. 1. Know the context. Read the press release or “pitch” that generated the interview. Know what the reporter or assignment editor knows about the story. And familiarize yourself with the media outlet’s audience, so you know how to target your comments. 2. Choose your messages. 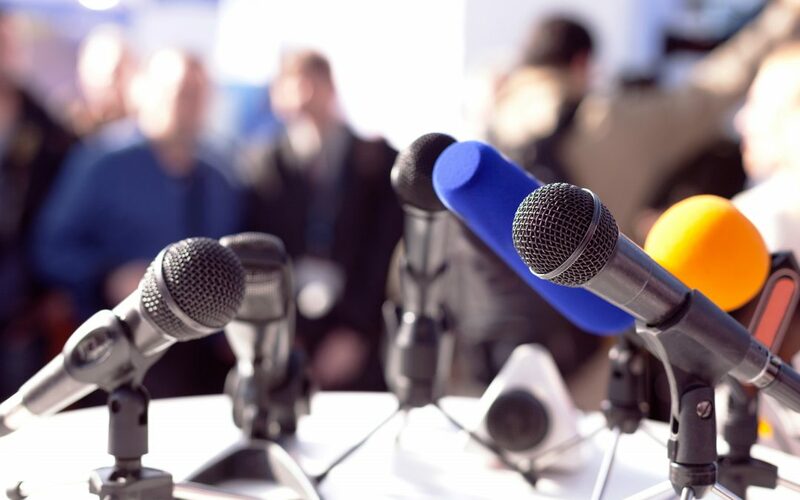 Coordinate with your marketing and PR team to decide on your three most important messages—the sound bites that you want the media outlet’s audience to take away with them. Write them down in order of importance (you may only get to the first one during the interview.) Practice a few different ways of saying them. 4. Communicate clearly. Make sure you can describe your company’s mission or your product or service without using industry-specific jargon or abstract language. A 2010 study showed that obfuscatory linguistic gambits are less believable. In other words, if your prose is full of buzzwords and pseudo-verbs like “synergize,” your audience may think you’re lying to them. 5. Speak carefully. Always assume that everything you say is “on the record.” Everything. Don’t say anything you wouldn’t want to say in front of your biggest competitor, your worst enemy’s lawyer or your six-year-old child. Never use profanity or other slang words that your target audience may find offensive or insensitive. 6. Look the part. If a photographer or videographer will be present, be sure your attire is appropriate for your position and the news story, wrinkle-free and spotlessly clean (unless you’re being interviewed about a dirty subject, and being dirty is appropriate in that context). Avoid stark white shirts—they tend to dominate the shot and may make you look “washed out.” Make sure your hair is recently trimmed and attractively styled, brush your teeth, and powder your face to avoid shine. (Yes, even if you’re a guy.) If your media appearance is on a major television outlet, and they don’t supply a makeup artist, you may want to hire one yourself to be sure you appear healthy, relaxed and confident on camera. 7. Stay humble. Remember who the reporter works for (it’s not you.) Assume you need the media outlet more than they need you, and they would be just as happy interviewing your competition. Be respectful of the reporter’s time, observe his or her deadlines, and keep your ego in check. Return phone calls and emails from media outlets immediately. Never, never ask to review or approve a reporter’s story before it runs. (Remember, they don’t work for you.) Most reporters find it insulting and unprofessional. If you want to make the most of your next media appearance—or perhaps you could use some help generating interviews in the first place?—why not contact me for a brief free chat?